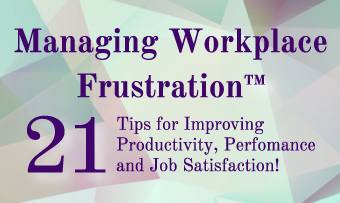 If your organization is plagued with unnecessary conflict, then productivity and performance will suffer! Fortunately, there are steps you can take that will help employees and colleagues work together more effectively. Once you take these steps, work can be less stressful and more harmonious, and people will waste far less time and be far more satisfied with their jobs. Learn more about differences— different motivators, different priorities, different communication needs. Help each understand other people’s points of view, and see the value each brings to the team. Determine what specific behaviors may be required to build credibility and trust with those who have different personalities. Develop the willingness and ability to adapt behavior to the needs of different situations and different styles. You’ll be on your way to better business results, increased trust, more effective teams, higher morale, and more satisfied employees! Previous Article Previous Article: Can Your Good Listening Skills Improve Employee Performance?